Chocolate & Flower Free Valentines Day! Right, now we have got your attention!!! As we all know Valentines Day is fast approaching (at the time of writing it is just 17 days away). This year why don’t you surprise your husband, wife, boyfriend, girlfriend, partner etc., with a stunning balloon display. Roses and flowers are predictable, boring and very expensive and as we all know the prices usually increase as Valentines Day approaches. 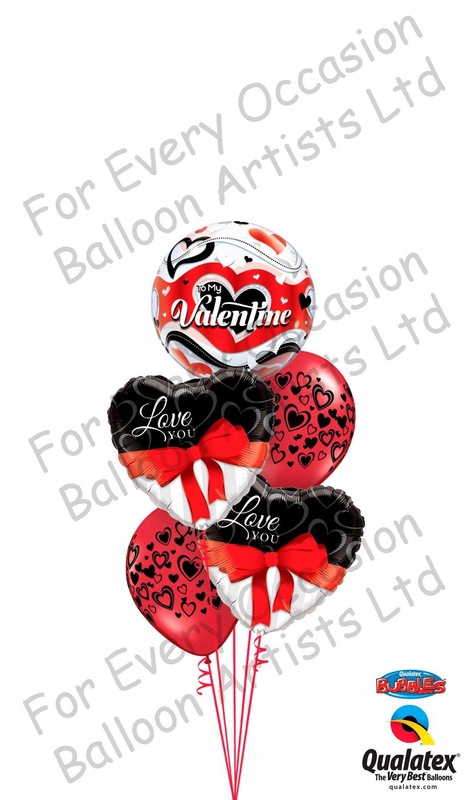 Balloons on the other hand make a much bolder statement and require a lot more thought that just popping into a shop and buying a bunch of flowers and, even better, the prices remain the same as every other time of year – no seasonal increases whatsoever!! We have a vast amount of ideas for Valentines Day and, even better, we are open on Sunday the 14th February for all the last minute orders and we can deliver as well (there is an additional fee for delivery and delivery slots are limited). 2016 is also a Leap Year which means this year ladies, you can take the initiative and propose to your other half. We can help you out with that by delivering a personalised bouquet of balloons which actually do the asking for you!!! 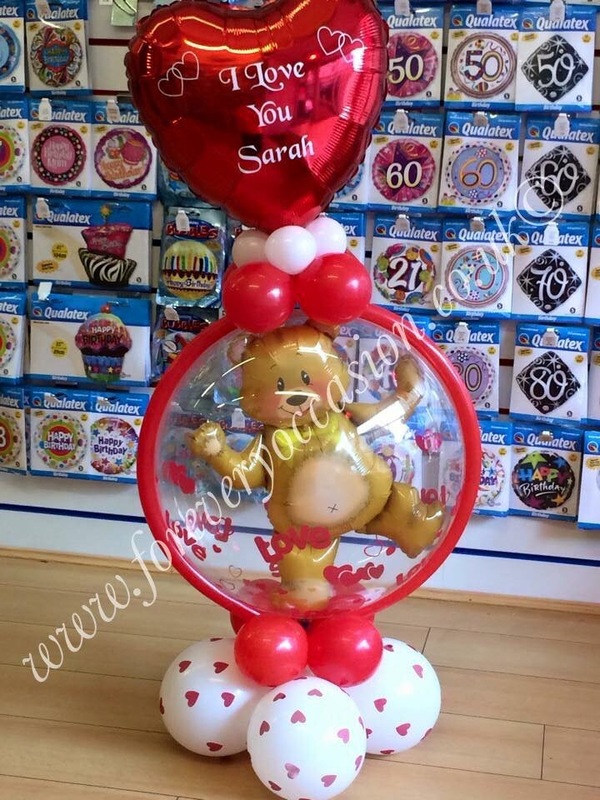 From the simplest of balloons to the most elaborate displays, to singing balloons and personalised balloons, we can cater for absolutely any budget at all. We are open 6 days a week so there is plenty of time for you to place your order. Call in and see us at For Every Occasion, 11 Russell Road, Rhyl, Denbighshire, LL18 3BS or call us on 01745 334299. Below are just a few ideas of what’s available but trust us when we say there are lots more ideas in store! 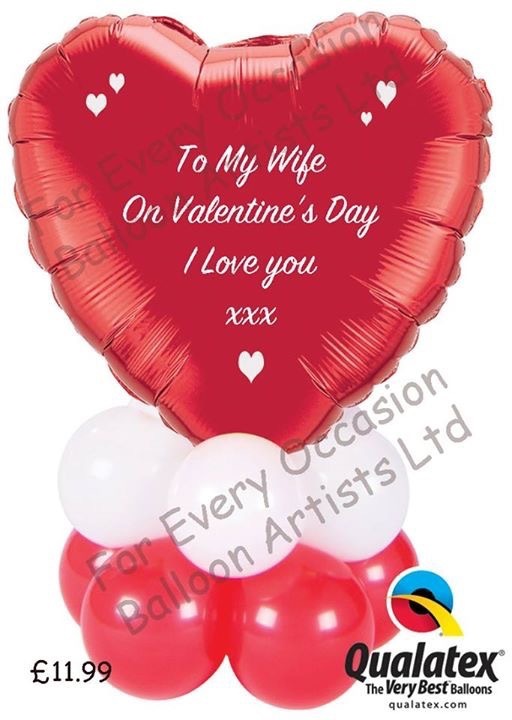 One of our SPECIAL OFFERS is a dozen red foil heart balloons for just £19.99 (see our prices have actually gone down not up).